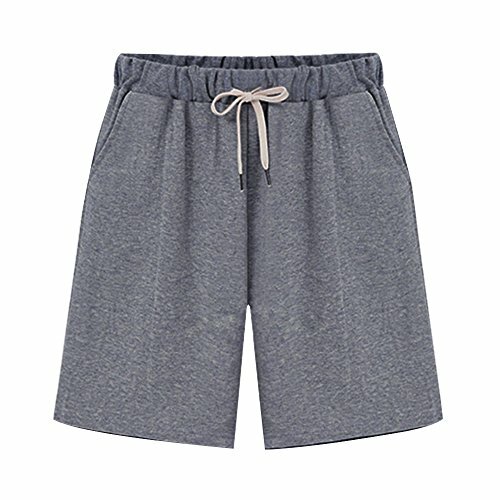 Women's Soft Knit Elastic Waist Jersey Bermuda Shorts with Drawstring Dark Grey Tag 4XL-US 16 by Gooket at Mas Fashion. Hurry! Limited time offer. Offer valid only while supplies last.